Bill is an honours graduate in Engineering from Strathclyde and Birmingham Universities. He is a Chartered Engineer and has been awarded Felowships by the Institution of Mechanical Engineers, The Royal Academy of Engineering and the Royal Society of Edinburgh. He is a past President of the Institution of Mechanical Engineers and is a Liveryman of the Worshipful Company of Engineers. He was awarded a CBE in 2003 and an honourary Doctor of Science degree from Aberdeen University in 2009. He has been involved in the Subsea and Offshore Oil and Gas Industry for over 35 years. 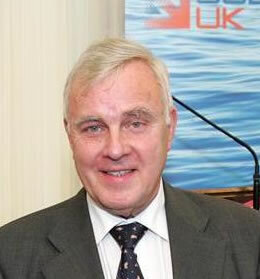 As a Group Director of Seaforth Maritime Ltd he was Managing Director of Seaforth Engineering which became the global leader in the design, construction and installation of advanced class saturation diving systems and which designed and built the original Underwater Training Centre at Fort William and the National Hyperbaric Centre in Aberdeen. As a Group Director of the John Wood Group he was responsible for the Engineering and Production facilities Division and was Chairman of the J.P. Kenny Group for 10 years. He is a past Chairman of the Offshore Construction Association.